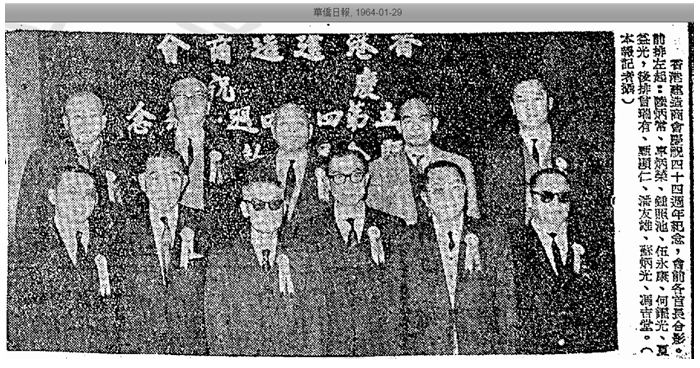 Founded in the early 1900s and dissolved in 2000, Chung Cheu Kee was one of the oldest construction firms in Hong Kong and its founder of the same name was one of 17 founders of the HK Building Contractors Association in 1920 and was involved with the Association for over half a century including the establishment of the Building Contractors Association School (built in 1958, reorganized as HKCA PLK School in recent years). Little information is available about the background and early years of Chung Cheu-Kee. Aside from HKBCA, Chung was also involved with Po On Fellowship Association (寶安同鄉會) so he was likely a native of Po On prefecture (which includes Hong Kong). In 1928, Chung Cheu Kee was awarded the contract to renovate the Lo Pan Temple at 15 Ching Lin Terrace (see article on Li Po-lung on the development of the seven terraces) in Kennedy Town. The temple, which is currently classified as a Grade I historical building, was originally built in 1884 and is dedicated to Lo Pan, the patron saint of Chinese builders and contractors. Given the importance of this building to the HK construction industry, the fact that Chung Cheu Kee was awarded this contract reflects its stature among its peers. In the 1940s through 1960s, the firm operated out of 16 Ship Street in Wanchai. Chung Cheu-kee was succeeded by his son Chung Tze-hung (鍾子雄, 1915-2014), a graduate of Pui Ying Middle School in HK and Sun Yat Sen University in Canton. After the War, he returned to HK where he acted as chief engineer for Chung Cheu Kee before he migrated to San Francisco in 1976 at the age of 60. 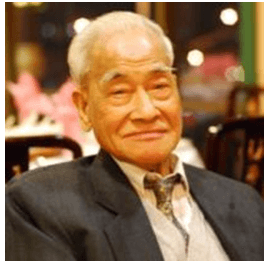 He resided in San Francisco until his death in 2014 at the age of 99 and according to his obituary, in his retirement he loved to travel (driving across America and toured the Caribbean and China) and exercised daily in Chinatown until the age of 95. As a firm, Chung Cheu Kee Building Contractor Ltd was incorporated in 1979 and dissolved in 2000. This article was first posted on 21st January 2019.